Toyota will unveil a high-performance version of the Yaris at this year’s Geneva Motor Show. Toyota will unveil a high-performance version of the Yaris at this year’s Geneva Motor Show, the company has announced. The news follows the announcement that a Yaris will compete in this year’s World Rally Championship – starting with the Monte Carlo rally next week. The new high-performance Yaris will provide a link between that competition car, and the road-going range. As yet, we know precious little about the hot Yaris, beyond the fact the car is based on the three-door model. The only other thing Toyota has confirmed is that its engine will have more than 210bhp. That will make it by far the most powerful production Yaris, and put it in competition with hot hatches such as the Vauxhall Corsa VXR, and recently launched Ford Fiesta ST-200. It also suggests we can expect the Yaris to have a 0-60mph time of around 6.5 seconds, and cost somewhere in the region of £20,000. The pictures also show Toyota has done its hot hatch homework, and the new hot Yaris has all the appropriate accoutrements. That includes a bold honeycomb grille, big alloy wheels with low-profile tyres, a big rear spoiler, and a wide, centrally-mounted exhaust pipe. 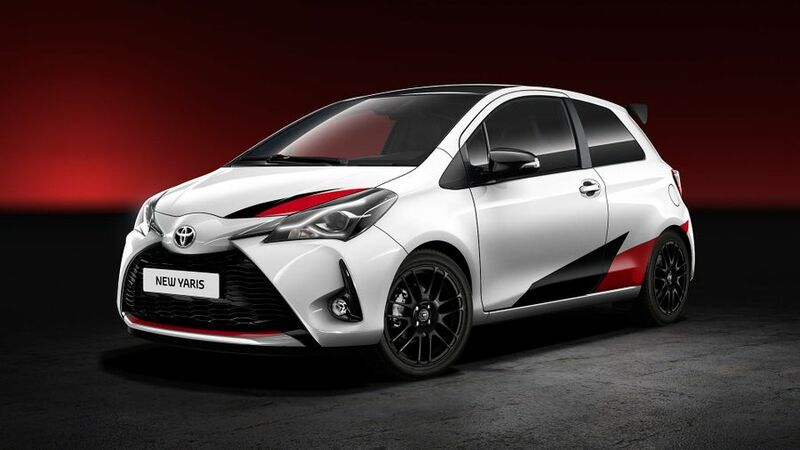 At the same time, the rest of the Yaris range will also be revised, with new front and rear styling, a modernised interior, and a range of modifications Toyota says will improve its comfort and handling. There’s no word yet on when the new Yaris will go on sale, but we’ll bring you news just as soon as it’s available.